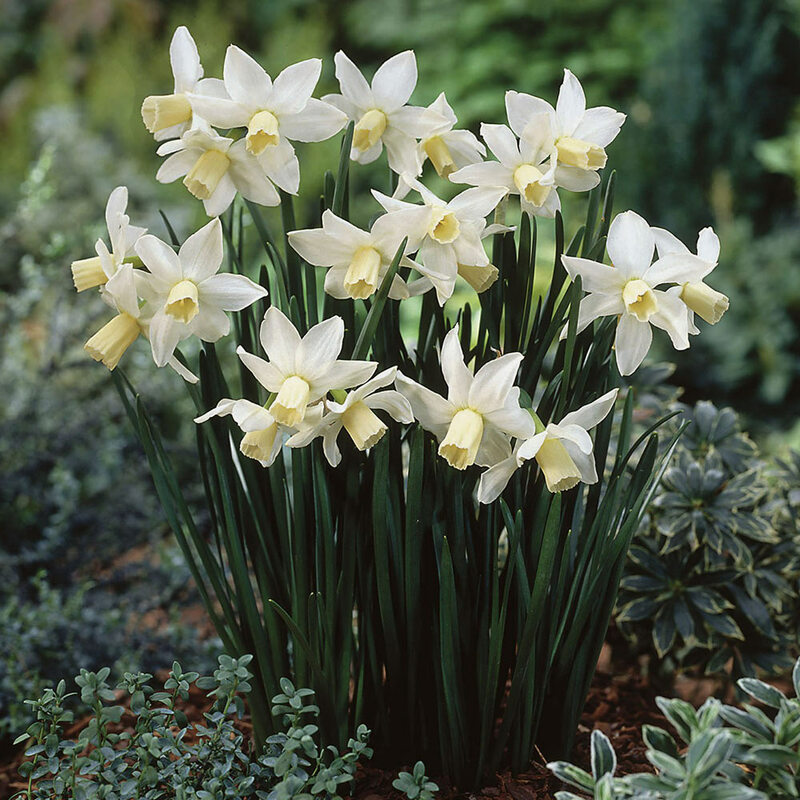 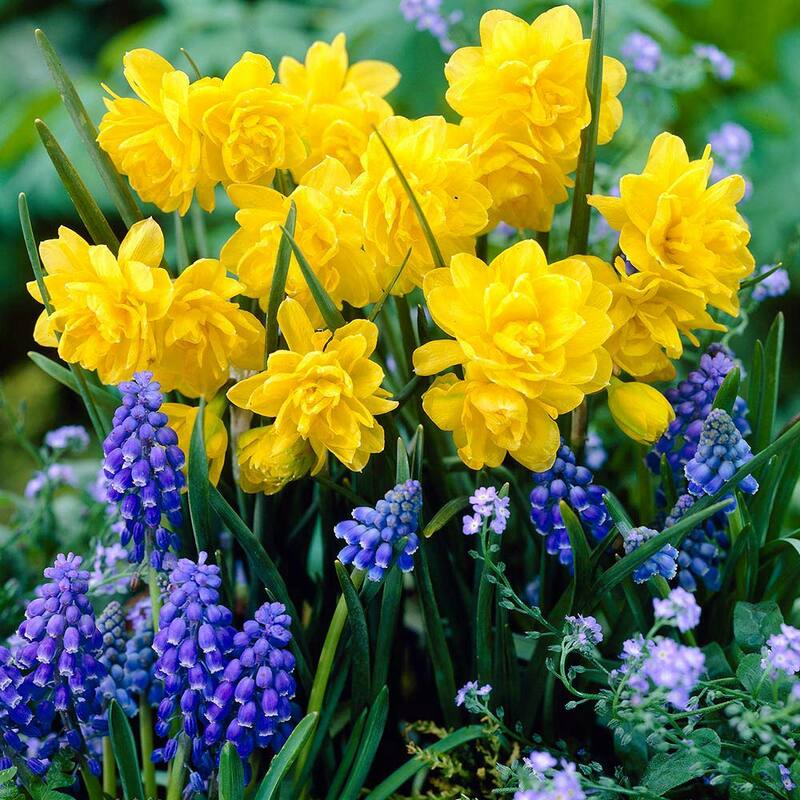 Tete-a-Tete varieties are the best known dwarf multi-headed Daffodils. 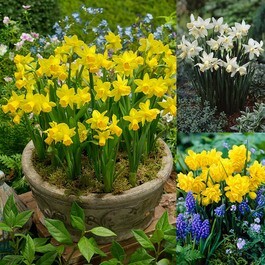 At a mere 15-25cm high they are perfect for small gardens, rockeries and growing in patio containers. 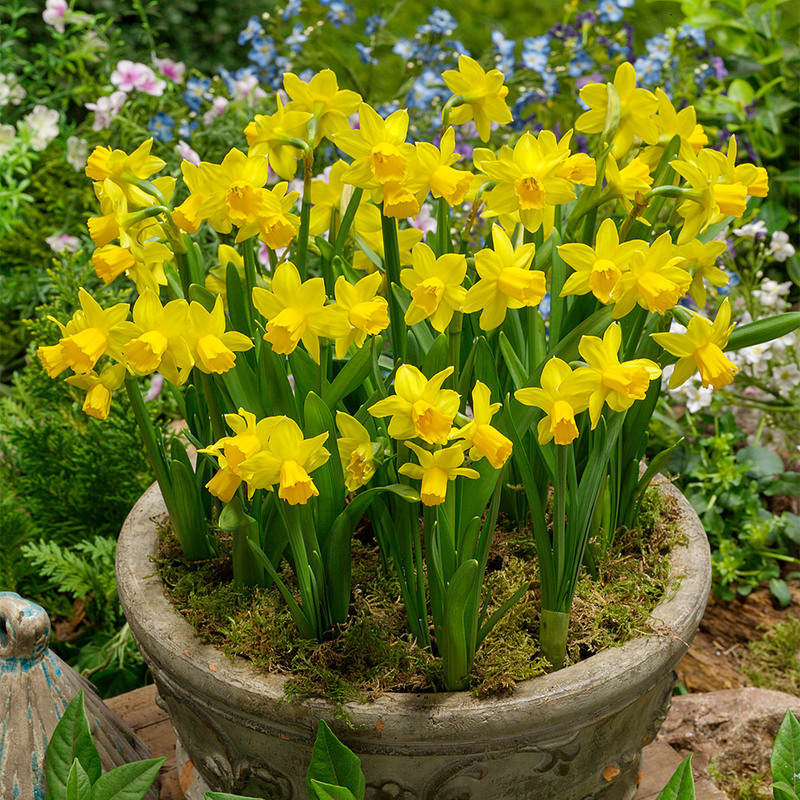 Our collection of 50 is made up of 25 Narcissi Tete-a-Tete: sunny yellow petals and matching trumpet, bear up to 3 flowers per stem, 15 Narcissi Pencrebar: fully double golden yellow flowers and 10 White Tete-a-Tete (Toto) slender white petals with a pale creamy-yellow trumpet. Flowers from March to April. Tete a Tete supplied as 8-10cm bulbs, Pencrebar and Toto supplied as 10-12cm bulbs.